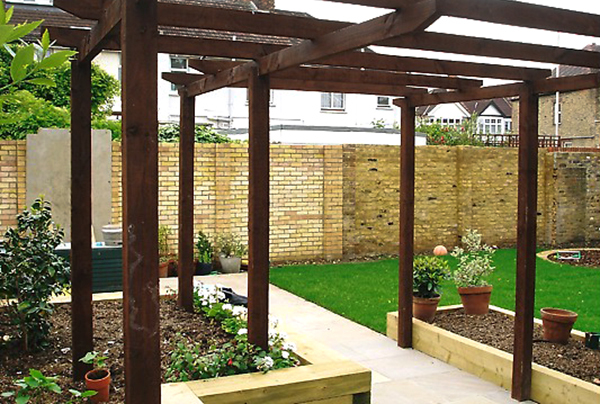 The brief for this south facing urban family garden included a play area for children and a separate area for entertaining. 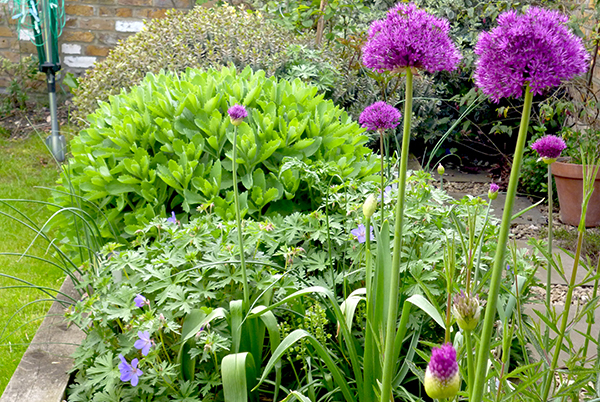 The borders were planted with shrubs and herbaceous perennials, tough enough to withstand child’s play and provide year round interest. 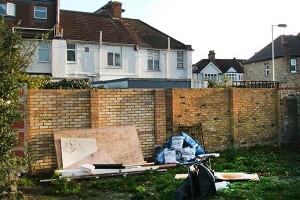 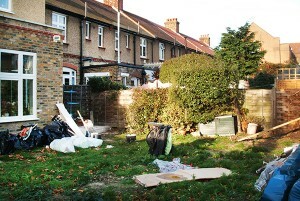 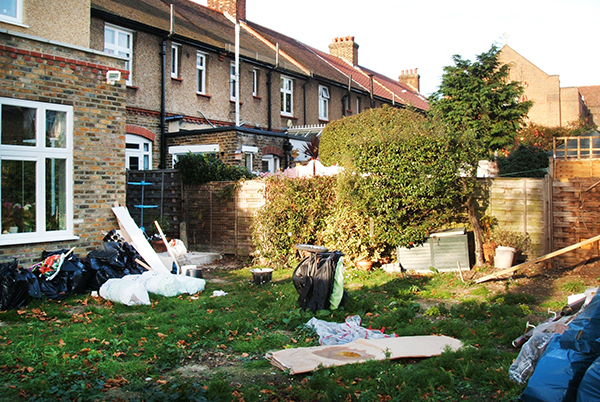 Screening was required to provide privacy from the tall houses at the back. 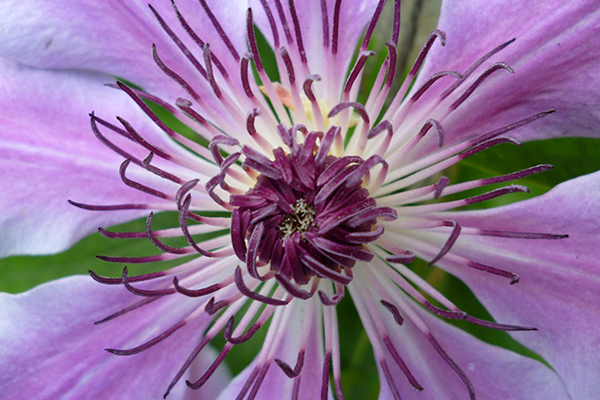 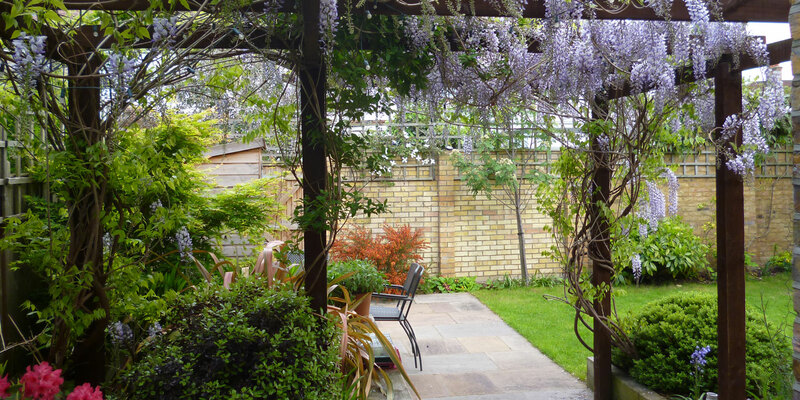 The style of the garden is contemporary. 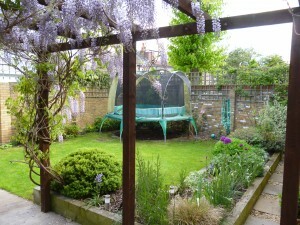 A circular area in the corner of the garden was set out as a soft base for play equipment. 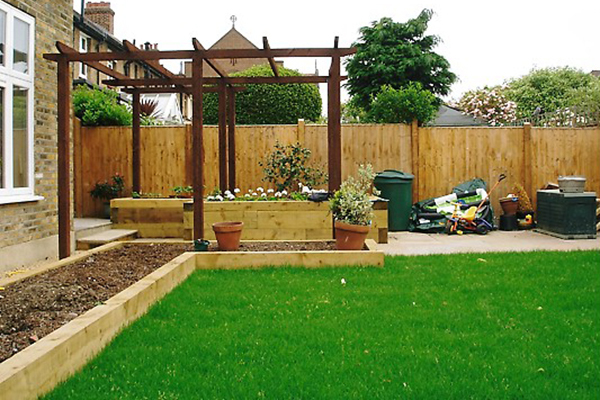 Raised beds were made to create a boundary between the lawn/play area and the rest of the garden. 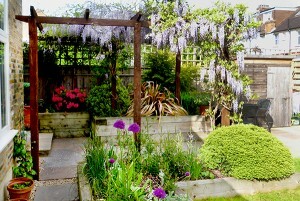 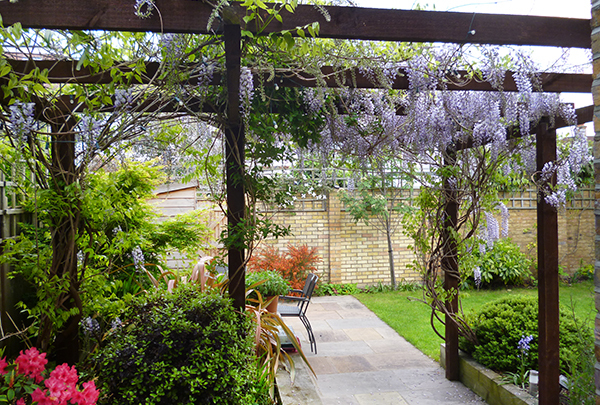 A pergola was erected along the pathway planted with Wisteria. 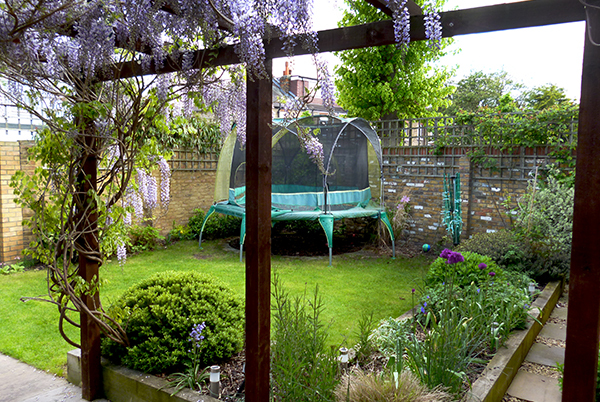 This together with a Rowan tree at the bottom of the garden provided privacy from being overlooked from neighbouring houses.